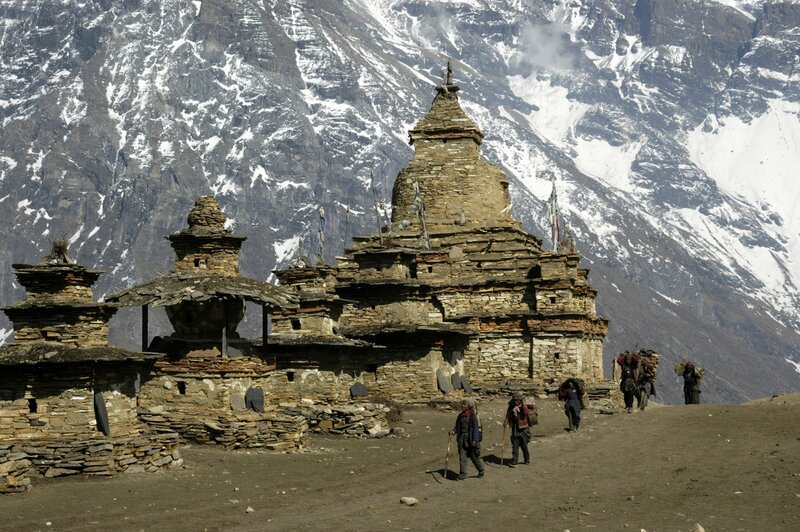 In 1955 the first ever group of foreign tourists visited the then closed Kingdom of Nepal. The journey was organised by Boris Lisanevich, who persuaded King Tribhuvan to open the country to foreigners. Nepal, with its stunning nature and antique Hindu and Buddhist traditions, is now one of the most popular tourist destinations in Asia. However, until the beginning of 1950s Nepal was a “Terra Incognita” for foreigners, with the exception of Indians, Tibetans and Bhutanese. The creation of the country’s booming tourism industry can be traced back to one man- Boris Lisanevich, who was born in the Russian Empire and first came to Kathmandu in 1951. Lisanevich, a Russian émigré who fled the country after the Bolshevik Revolution, had an impressive set of friends and acquaintances. He knew Jawaharlal Nehru, French actor Jean-Paul Belmondo, English crime novelist Agatha Christie and Queen Elizabeth II. By the end of his life, the Russian became a symbol of Nepal for numerous tourists from all over the world. The State Hermitage Museum in St. Petersburg has a portrait of Grigory Lisanevich, a Russian general, who fought in the war against Napoleon and the great-grandfather of Boris. The Lisanevich family owned an estate near Odessa, where Boris was born in 1905. The way of life of a boy from a typical aristocratic family was pre-defined – Boris had to devote himself to military service. However the 1917 Revolution changed everything and everyone. The young Lisanevich also made his own choice. He left the cadet corps and devoted his life to art and ballet. With the ballet achieving global fame, it went on tours across Europe and Asia, giving Lisanevich to see many new countries. In 1933 he came to India and was enchanted by the country. Lisanevich decided to stay in Calcutta. It is worth noting that 150 years before Lisanevich came to the city, Calcutta was home to another Russian artist and traveller- Gerasim Lebedev, who was a pioneer of Bengali theatre. However the fame of Lisanevich in Calcutta was not connected with art but with his business enterprises. He was the founder and owner of Club 300, one of the most popular places for Indian aristocrats and Europeans in the city. The club was very democratic for colonial times. The majority of such clubs in India allowed Europeans members and guests, but Club 300 was open for anyone regardless of race or ethnic origin. The club was also famous for its cuisine, which was unusual for India. Lisanevich invited Russian chefs from Europe and they introduced Russian dishes such as borscht, beef stroganoff and chicken a la Kiev. King Tribhuvan of Nepal was one of the regular visitors to the club. He used to spend a lot of time in India. Political power in Nepal at that time was in the hands of the hereditary prime ministers of the Rana family. In 1951 the Rana regime was overthrown by the supporters of Tribhuvan. The Indian government and Jawaharlal Nehru actively supported the king. Negotiations between Tribhuvan and the Indian officials were allegedly held in Club 300. The King of Nepal considered the Russian émigré his close friend. After gaining real power he granted Lisanevich Nepalese citizenship and invited him to Kathmandu. On his first night in Kathmandu Lisanevich saw a wild leopard in one of the main city streets. He understood that this Himalayan country could become a perfect tourist attraction. But this idea had a lot of drawbacks. There was no modern infrastructure, and all vital supplies were delivered to Kathmandu by airplane. The country was completely unknown to the rest of the world. Foreigners, other than Tibetans, Indians and Bhutanese, were forbidden from entering the country. Even Russian philosopher, writer and painter Nicholas Roerich could not visit Nepal. Nepalese officials were sceptical about the prospects of the development of tourism in the country, but Lisanevich persuaded the king to allow a group of European tourists to visit the country. The first tourist group visited Nepal in 1955, and by the end of the 1950s tourism became one of the important sources of income for the Nepalese economy. The vast majority of tourists stayed in the Hotel Royal, which was founded by Lisanevich in the former Rana’s palace. In the beginning of 1960s, Kathmandu became the world capital of alpinism, and the Yak & Yeti bar in the Hotel Royal was the base for dozens of expeditions. Lisanevich himself was fond of sports and alpinism, and tried to help his guests to adapt in the new country. Nepal witnessed various kings and governments during the second half of the 20th century, but the role of Lisanevich remained unchanged. He hosted all the famous guests who visited Nepal. Lisanevich even took care of all the arrangements during the visits of Russian cosmonauts, Andriyan Nikolaev and Valentina Tereshkova. He would spend the rest of his life in Nepal, passing away in Kathmandu in 1985. Lisanevich’s vision and efforts helped the Himalayan country open up to the rest of the world and become one of the most popular tourist spots in Asia.